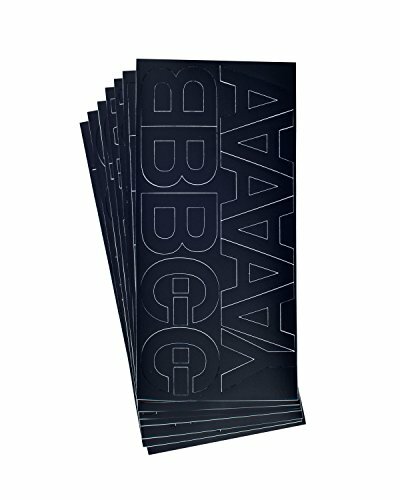 Save 1% on the Westcott LetterCraft Removable Vinyl Letters, Black, Helvetica Font, 2-Inch Characters (RPH2-CN BLK/15857) by Westcott at Stickman's Blog. MPN: RPH2-CN BLK/15857. Hurry! Limited time offer. Offer valid only while supplies last. Create professional-looking, easy-to-read signs easily and inexpensively with these stick-on vinyl letters from Westcott LetterCraft Lettering. Create professional-looking, easy-to-read signs easily and inexpensively with these stick-on vinyl letters from Westcott LetterCraft Lettering. Available in assorted fonts and colors. Westcott Drafting & Drawing Tools are some of the finest products of their kind for students and professionals. Our commitment to meticulous quality and cutting edge innovation in measurement and art materials has earned an unparalleled reputation.